Democratic presidential candidate Sen. Amy Klobuchar, D-Minn. Among the reasons these aspirants give for promising to abolish the Electoral College is one reason that virtually guarantees that it will not be abolished: Because each state gets two electoral votes for its senators, the system advantages the least populous states. Opposition by 13 states will extinguish any constitutional amendment. If the legislatures of any of the 13 least-populous states (Wyoming, Vermont, Alaska, North Dakota, South Dakota, Delaware, Rhode Island, Montana, Maine, New Hampshire, Hawaii, Idaho, and West Virginia) fail to oppose an amendment abolishing the electoral-vote system, other legislatures — those of, for example, Nebraska, Kansas, Arkansas, Utah, Mississippi —probably will ensure defeat. Donald Trump must secretly admire Massachusetts Sen. Elizabeth Warren’s thoroughly Trumpian proposal — made where pandering is perfected, Iowa — to ban foreigners from buying U.S. farmland. Lest diabolical foreigners take our loam home? No, Warren says foreigners threaten “food security,” hence “national security,” too. Warren and Trump — he who sees a national security threat from imported Audis — are together at last. 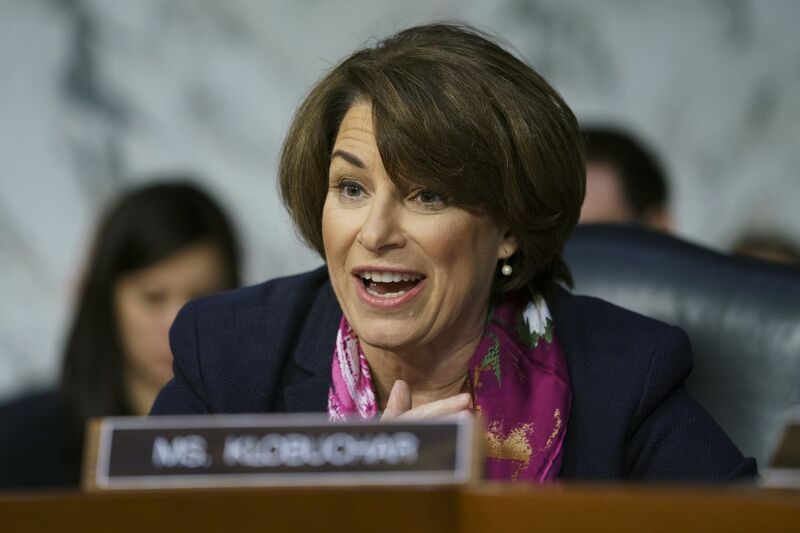 “I wore my Planned Parenthood pink!” exclaimed Minnesota Sen. Amy Klobuchar at a recent Washington cattle call for Democratic candidates. She, who is supposed to represent the sensibility of flyover country in her disproportionately coastal party, told the conclave that a “major priority” for her, one that she would emphasize in her presidency’s first 100 days, is statehood for the District of Columbia, a peculiar promise to facilitate retaking Wisconsin, Michigan, and Pennsylvania. Julian Castro — former mayor of San Antonio, former secretary of Housing and Urban Development — said that when he is the 46th president he will favor making Congress subject to the Freedom of Information Act. This is perhaps a good goal, but is not uppermost in the electorate’s mind. The Financial Times noted that in 2018, exit polls showed that a plurality of voters — 41 percent — ranked health care as their foremost concern. That was the year when it became obligatory for all candidates to promise that health insurance shall not be denied because of a person’s preexisting health problems. But Trump (“Nobody knew health care could be so complicated”) evidently is going to seek reelection saying: Trust me, there will be “a really great” Republican health care plan — after the election, and after my administration has persuaded a court to overturn the entire Affordable Care Act (including guaranteed insurance coverage for those with preexisting conditions), which now enjoys the support of a narrow majority. The eventual Democratic nominee is probably among the many already running. So the party, with its mosaic of factions to placate (affluent progressives, faculty club socialists, suburban women, African Americans, Hispanics, climate worriers, identity-politics warriors, etc.) and its aversion to winner-take-all primaries, should remember 1972 or 1984. Its nominees, George McGovern and Walter Mondale, won 25 percent and 38 percent, respectively, of the nominating electorate’s votes. In the two general elections, they lost 98 states.